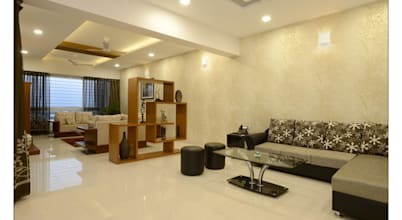 Incepted in 2001 - Akruti Interiors - Pune based Interior designers firm specializes in Residential and commercial best interior design services and practices. Interior designer, Bharati Havele is known for creating unique interiors for residential and commercial spaces. Bharati, through her company Akruti Interiors brings a wealth of experience in transforming private homes, apartments, boutique hotels, restaurants, holiday retreats and investments properties. 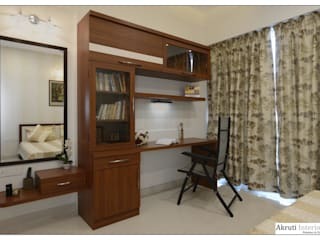 At Akruti Interiors, team of interior designers have come together to deliver classy and best interiors with judicious blend of aesthetics from a functional perspective. 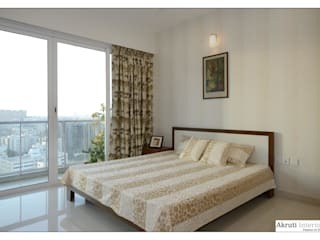 We are committed to create unique, elegant & premium environment that reflects class and luxurious lifestyle. 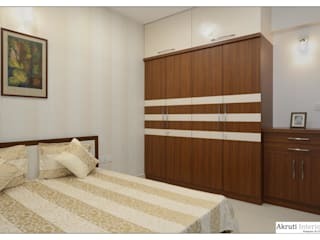 We take utmost care in space planning to maximize & improve the function and value of your property. We, as a company believe in making a difference to our clients lifestyle by incorporating modern trends along with the cultural values. We strive to deliver exclusive and incomparable interior design services in the market. We believe in partnering with clients to get the best possible results together thro listening, understanding and then executing. We keep the clients completely involved during the process thro continuous feedback and that is why we call it as a partnership. At Akruti Interiors, we are committed to deliver a quality product within the stipulate timelines and budget. We take on board the most competent contractors, vendors etc. to offer the best quality products at competitive rates. Our team of experts works towards the optimum satisfaction of our clients with a very high sense of time and cost efficiency. Our expertize ensure you hassle-free, ready-to-use residential/commercial spaces according to the concept and helps you to transform your dream into realty.